WINDSOR, Conn., Feb. 6, 2018 – LIMRA is now accepting nominations for its third annual Distribution Rising Stars contest. The contest will recognize 10 professionals under 40 who demonstrate leadership and innovation, supporting distribution within LIMRA member companies. LIMRA established the Rising Stars program in 2016 as part of its 100th Anniversary celebration. 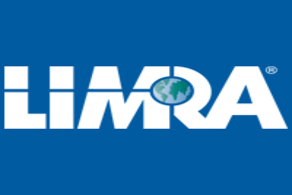 This year LIMRA has updated the contest to foster a more competitive contest among the industry’s best and brightest professionals under 40 who demonstrate excellence in each of the four categories (Distribution, Retirement, Innovation and Marketing & Communications). To select the winners, a panel of judges will rate each nomination on a scale of 1 to 5; the 10 nominations with the highest scores will be the winners. As part of the judging process, LIMRA is requiring each submission to include three detailed examples of why the candidate exemplifies a LIMRA Rising Star. The 3rd annual distribution Rising Star contest is now open. LIMRA is looking for 10 up-and-comers in distribution who are dedicated to making a difference in the industry. The contest is open to all home office employees of LIMRA member companies who are under 40 years old and have not previously won a Rising Star award. All submissions should include at least three reasons why the candidate is a rising star and a high-resolution photo (min 300 dpi). To nominate a colleague, please visit our nomination form and fill out the form by March 6, 2018. What is a LIMRA Rising Star? LIMRA is recognizing the industry’s best and brightest professionals under 40 who support Distribution, Marketing and Communications, Retirement, and Innovation within our member firms. LIMRA started the Rising Stars contest in 2016 as part of its 100th Anniversary celebration. The contest acknowledges the importance of the next generation of leaders who are not only embracing all the changes taking place in the financial services industry but are also reacting to these changes in innovative ways. LIMRA is looking for creative, dedicated individuals who are helping to propel the industry forward. Each of the four contests will only have 10 winners – 40 winners total. Each submission will need to include the nominee’s manager’s name and email address to confirm the nomination is valid. Candidates need to be nominated by a colleague (no self-nominations). Submissions will need to include 3 examples why the candidate is a Rising Star. All fields in the submission form are required for submission. Each candidate will be given a rating of 1-5 from each judge. The 10 candidates who receive the highest overall scores will be selected. Home office employees of LIMRA member companies who are under 40 years old and have a role in distribution are eligible for this contest. Prior Rising Star winners are ineligible. All submissions should include a high-resolution photo (min 300 dpi). To nominate a leader, please visit www.limra.com/RSNominate/, and fill out the form.